Prefer to download Managing an HR Department of One? Download here. 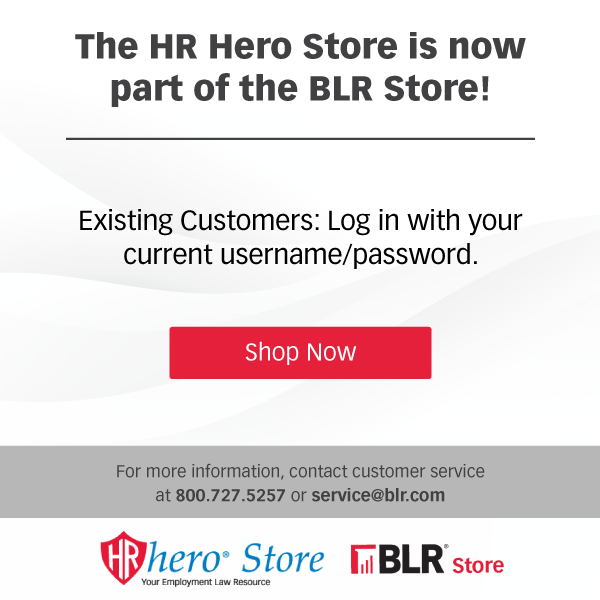 New to HR? You’re not alone! Congratulations. You have been assigned to one of the most critical functions in your company. You are now responsible for the people-oriented policies and procedures in your organization. In many ways the future success of your company lies with you. How do you execute mission-critical Human Resources tasks all by yourself? BLR’s Solution: The step-by-step guide for both seasoned and new HR department sole practitioners, with clear guidance and useful instructions for energizing and engaging your workforce, and avoiding potentially expensive employment law violations. Faced with managing Human Resources without a staff to help? 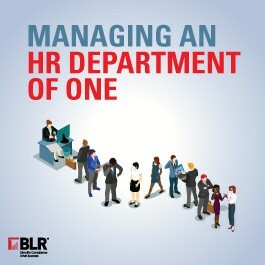 With BLR’s Managing an HR Department of One at your fingertips, you’re never alone. You get essential tips, tools, and techniques you need to hire, evaluate, train, pay, discipline, and much more. Plus, you’ll learn how to make the HR function a key strategic contributor in furthering your organization’s goals and mission, and someone other executives turn to for advice and input. This 286 page practical HR management handbook for the solo practitioner gives you the guidance and tools to run your HR department effectively and efficiently. Whether you’re the person new to HR or an HR manager in a solo environment, it will help you perform your HR function with the best of the them. Helps align HR with your company’s goals, build credibility and influence, understand HR ethics, cope with management expectations, learn effective staffing strategies, and use HR metrics to prove your contributions. Learn the first steps to take as a new or solo HR professional, how to build your skill set, how to understand your organization and what your CEO really wants to know. Review critical skills such as prioritization skills, communication methods, budgeting, recruiting/hiring, leadership, team building, performance management, problem solving and audit recommendations. Sections Outsourcing, technology, professional development and more! Learn requirements and recommendations on posting requirements, hiring/firing, privacy, employee handbooks, sexual harassment rules, and maintaining a safe workplace. Also see our Dowload Version. GUARANTEE: Your 100% satisfaction is guaranteed. If for any reason you are not completely satisfied with Managing an HR Department of One, simply let us know within 90 days, and we will issue you a complete refund.